Welcome to our Temple Nile Casino Review, where we explore the reasons for our Temple Nile Ratings 2018. We will begin by giving you some useful background information about the site and the company. This is a newcomer to the market and is operated by White Hat Gaming – who also manage other casinos including Spin Rider and Dream. It is comforting for gamblers trying a new site to know there is a pedigree of success behind the site. It is also important to know that the site is licensed in Malta and by the UK Gambling Commission. The user seems to be at the heart of the design of the site and our general feeling in this Temple Nile casino review is positive. It is easy to navigate and looks amazing. There is the normal flash of bright colours and the blinking banners everywhere. However, there is also a clear navigation map on the site and the mobile friendly site works well on the mobile phone and the tablet. Everything about the construction of this new casino online site is about embracing the individual experience of the player. Yes, the casino could be accused of looking like every other casino. Yes, being new they have been able to take advantage of using the latest tech in the new site. However, what is different is the emphasis on the individual experience of the user. They adapt the site to your preferences – both in terms of the list of games you can access quickly and in terms of the bonuses and promotions you receive. This deserves top scores in our Temple Nile ratings 2018. Let’s start this section of the Temple Nile Casino Review with a fact: 1000+ games. This is a huge positive, obviously. However, what is more impressive is the stable of game software developers they brought together. They have contributions from 15+ companies, including the industry giants NetEnt and Microgaming. This means there is a diverse group of games, with a rich selection of styles and approaches. Most of the games are obviously slots – but there are also roulette and blackjack – with some great live casino options provided by NetEnt. It is obvious from our Temple Nile ratings 2018 that we see genuine variety and choice on the site. There is not the whole load of slots that all do the same thing – just to boost the headline figure. There is a genuine selection for the user. The jackpots of the site are decent. The local jackpots on Super lucky Frog, Geisha Wonders, and more, can certainly make you smile. We think you are likely to be more interested in the giant jackpots from Mega Fortune – where there have been winners in the millions of pounds. We know these winners are only a handful but the hope and dreams this promotes really boosts our Temple Nile ratings 2018. Then there is a small feature – something you could almost ignore – but we want to make a point of including in our Temple Nile casino review: they create a recently played games tab, which means you get back to your favourites quickly. If you want to try something new, then they feature a game each month, so you can try out its features. This is a thoughtful addition and impacted on our user experience Temple Nile ratings 2018. 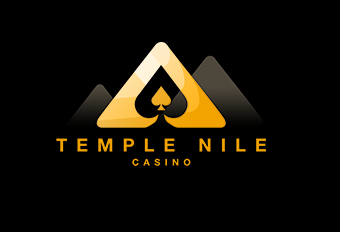 If you want to know where every player starts a customer review of Temple Nile – the bonus is where that is. We want to acknowledge the extraordinary efforts that the site put into the Welcome Bonus in this Temple Nile Casino Review. There is a 200% matched bonus on your first deposit up to a maximum of £500. This is probably the most generous welcome bonus on the internet. There is also the added bonus of 30 spins on the slots. There are terms and conditions but be aware that the 35 x playthrough is the sector average and it still means you get the most amazing opportunities to experience the site with a healthy balance. And, there are more promotions and bonuses once you start playing. What deserves top scores in our Temple Nile ratings 2018 is the bespoke nature of these rewards. The site will map your preferences and your experiences on the site and then offer promotions on these options. This is a step up from the generic bonuses and promotions that you find elsewhere, as it complements your experience with the site. Then, there is the Temple Bazaar. This really is different – and a genuine boost to ratings on variety of experience on the site. As you play you receive points, this is nothing new. What is new is that you can exchange these points for actual physical prizes – such as luxury watches and the latest tech – in a marketplace where you can spend your tokens. This gamification of reward in the style of the site of a temple in Egypt is a clever touch and one that we genuinely get excited about joining in with. A final point: the bonus is non-sticky. This means you play with your funds first and can claim the winnings as normal first, and if these funds run out then you are playing with the bonus with the terms and conditions. This is completely in favour of the player! As our Temple Nile ratings 2018 suggest: we like this casino. There is little to criticise in our Temple Nile casino review – and this is likely because they are new and clever and have had the chance to do some extensive market research on what works. However, the focus on the individual and the bespoke design of menu options and bonuses sets it apart from its competitors.